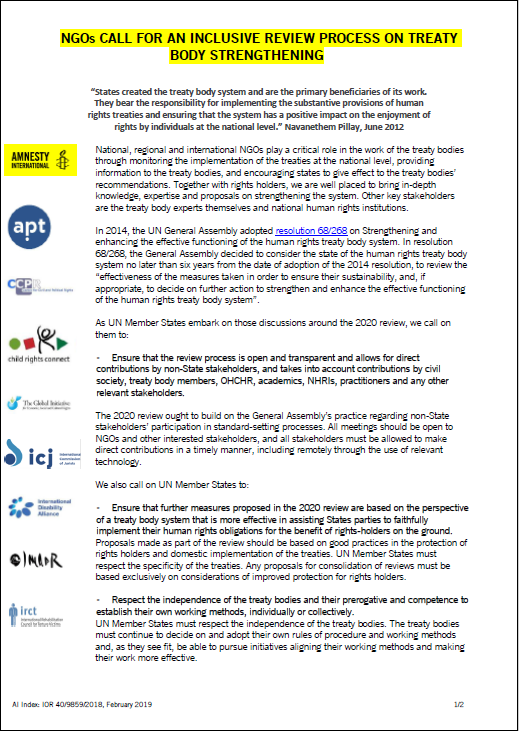 As a member organisation of TB-Net – NGO Network on UN Treaty Bodies, IMADR joined the call to UN Member States for an inclusive review process on treaty body strengthening. National, regional and international NGOs play a critical role in the work of the treaty bodies through monitoring the implementation of the treaties at the national level, providing information to the treaty bodies, and encouraging states to give effect to the treaty bodies’recommendations. Together with rights holders, NGOs are well placed to bring in-depth knowledge, expertise and proposals on strengthening the system. Click the image below to read the full text.